You know how on Mondays people always ask you, “How was your weekend?” and most people just say “good” because no one can even remember what they just did for the last two days anyways?Well, today I had a few people ask that question, but I could vividly remember my weekend. Dehydrated and sick on Saturday, then catching little mice in our kitchen on Sunday. Not my ideal weekend. But I still almost just wanted to say “good” because it makes people uncomfortable and takes too long to explain a not so good weekend. The days after the bad days are so much better, and today I have found so much to be grateful for. Today I am grateful that I got my Graphic Design assignment done in class, I got off work early, I have a pretty view of the mountains from my window, there are three less mice in our house, I got to talk to my mom, we bought all of our groceries for the week, and that I got my design portfolio done and turned in for a job I am applying for at the college. Especially that last one. I have never applied for a graphic design job before and just putting my portfolio together this weekend was enough to make me sick (being dehydrated probably didn’t help, actually). I do feel like I did a really brave thing. Even if I don’t end up getting the job, I did a really brave thing just applying for it, and that makes me feel good. So in that case, I am also grateful for chances to do really brave things. 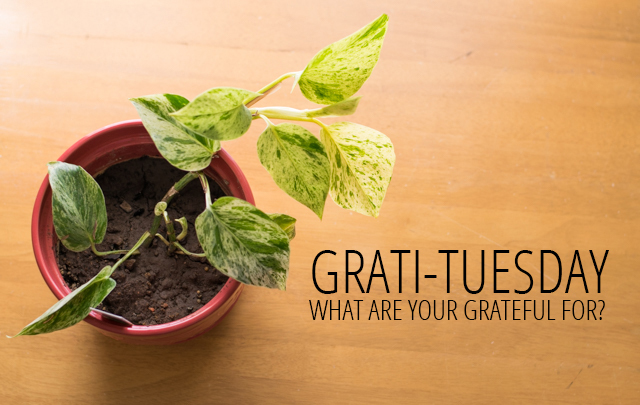 So, what are you grateful for today? I would love to hear it! Yay for grati-Tuesday! Today I am grateful for peaches. Good, fresh, yummy peaches. In the past few days I have had peach cobbler, waffles with peaches and whipped cream, and just bowls of cut up peaches, and I love it! Peaches are the best! They've been on sale in Cedar for the past two weeks and I've bought like 20. The smell of ripe peaches gets me and I just want to buy all of them! Thanks Skyler! Good luck with the job! I have a friend who I recently found out does graffic design from home and immediately I thought she was 1000x cooler than she already was. You will be great!